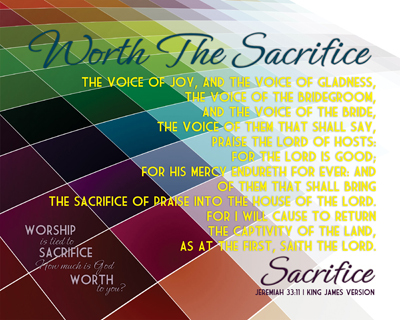 Worship is tied to Sacrifice, how much is God WORTH to you and me? We have an order presented here which it would behoove us to take a LONG, HARD look at to make sure we understand the gravity of the weight being placed before us in understanding. It is as paramount that we understand it as Salvation itself, for here’s the reason why – without the Sacrifice of Christ’s Blood, none of our sins would be Paid for and there would be no need for Worship to take place. How much will you give of yourself for God the Father to have control over? What are you and I willing to invest in the Relationship we have with our Creator? God gave His Son, He is ALL IN on His side of the equation. What or who are you and I bowing down to, even this very moment? We have an opportunity to review, analyze and take inventory of our true devotion. Only the Lord and we ourselves can do that evaluation. Check to see if it was Worth the Sacrifice of our Lord and Saviour for what we are doing for Him. Is our dedication to Him truly an act of Sacrifice to and/or towards Him? Could we gain knowledge of a few things along the way that will help us with this as we read God’s Word, Jesus’ accounts and the mighty men of valor that he used to impart His Word to us? Certainly we can, for they are surely more than just these ten (10), but they can serve as a launching point to return us to where He is, such we might realize His GREAT Sacrifice for each of us. Even in looking at the sampling of verses of Scripture used in this Series, ten (10) of the three hundred seventy-nine (379) reviewed directly, it is well more than you and I could ever exhaust Praising and Worshiping Him over, through and about. For the world that we live in today, access to virtually anything that can be found, is right in front of us, delivered in a multitude of ways. As times change, the more access we have it seems, quicker and more complete. Interestingly, people the world over have seemingly wanted to update, re-work, fancy up the concept of Worship – to make it more appealing for others to come to the Saving Knowledge of Jesus Christ, or is it? Have we forgotten, or never realized maybe, that prayer works the EXACT same way it did in the Old Testament, as with Jesus Christ Himself prayed in the New Testament and has no changes to its value today for you and me? Sure, the concept of Sacrifice has changed, for Jesus Christ shed His Blood for ALL mankind – past, present and future, that work is done – but we sacrifice ourselves just as David did in the Old Testament and as Stephen did in the New Testament. David was a King on Earth who sought forgiveness for a Nation, where Stephen was a Martyr who as he was being stoned to death asking forgiveness for those who ultimately would kill him. How is our Worship and Praise today? What does our Sacrifice mean to our Father, the Creator God, the Holy One? We need to live in light of making sure that All that was Given through His Precious Son, Jesus Christ – was Worth the Sacrifice. Like so many things in life, we as Christians can face uncertain events, times and interactions with others, which are a toss up as to whether they were good, bad or ugly moments. Much of the time one’s perspective on the happening is a determinant of the outcome, so to speak. At the very moment those happenings are occurring, an opportunity to take inventory often is presented or afforded to us, so we might try to figure out what it is that we “need” in order to handle the situation in a godly and right manner. Oftentimes tough or tricky situations cause us to doubt what we can do for the Lord, let alone how we might impact those around us by lending a Bible based perspective in evaluating them, then acting on them. When that doubt arises in our hearts and minds, a potential answer for us is to “get someone else” to take care of the situation, rather than depending on “me and God” to get His Perspective and Answer. “Let me introduce this person” enters into our minds, which then gets formed into he or she will get what they “Need” by “Meeting” this person or that person. Those in themselves are NOT bad things or manners to get assistance with a challenge we may not have the answer, but it is “Highly” likely another consideration is being made. Instead of wanting to have a “Meeting” to introduce someone else, our Creator God, could VERY well be moving you and I from scheduling a “Meeting” with someone else, to us “Being That Person” with His Help. Somewhere, somehow, there became this notion that “someone” else had to be the person to share what Christ has done for them. There certainly are things that we each will not know about the Bible and questions that will arise that we do not have the answer to, but it is the Holy Spirit that does the working on the inside. And, we can find the answers to whatever question is asked of us – He Promises that His Word will not return void. This listing is a “short-list” of quotes that are biblical in nature and are profound, all the while being very simple. [Know] Trust in the LORD with all thine heart; and lean not unto thine own understanding. [Hear] In all thy ways acknowledge him, and he shall direct thy paths. 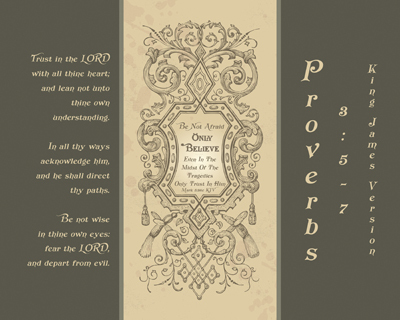 [See] Be not wise in thine own eyes: fear the LORD, and depart from evil. Oftentimes we believe that we already have the answer to a challenge because we have experienced it before, have seen someone go through something like it or maybe have helped someone through a situation similar to the one being observed. Just this past Sunday got the opportunity to see this and put this into practice. By having this exposure put into place, it helped me to rely on God the Father to give me wisdom, a clear line of hearing and understanding from the Holy Spirit and have the compassion as Christ has taught us to have in His Example. We most likely are familiar with the tale that is told that usually involves a monkey that visually indicates three things: little monkey be careful what you see, be careful what you hear and be careful what you say. They are typically depicted by the monkey having his hands over his eyes, over his ears and over his mouth. Other manners would say it this way – see no evil, hear no evil, speak no evil. People may not realize just how many things that we are exposed to actually have a grounding in the Word of God. A Brother in Christ shared with me some of the difficulties that were being experienced in a family situation which had been building up over years of time, which unfortunately have resulted in the very least a temporary splitting of a family unit. As he spoke and shared his heart, the response formulating inside of me became more and more Bible based and a sense of gentleness was eased into about the matter – more of a listening roll really. Responding to this dear friend and Brother in Christ caused him to stop and look at me – then tell me “Thank You for listening and not judging…” My response to him was that looking at it from a biblical perspective lets me know that much work may need to be done, but I’m no match for the Word of God being gently used to Encourage rather than what so many want to make of it into a weapon. The situation will require all three of these to be true, we must be willing to Hear the Holy Spirit speaking to us right where we are, we need to be able to see the way He Sees and make the effort to understand that God the Father will orchestrate what is necessary to cause the right place, part and action to occur for the Believer to return to Him. It is indeed Him that is to get the Honor, Glory and Praise. We Honor Him by Trusting in Him. We bring Him Glory when we acknowledge Him, letting him direct. We give Him Praise as we follow him through His eyes, not the ones of our own. While many may think that is a tall order, it actually is the least He asks of us. There are three items which we would do well to keep in mind as we approach everything in our daily lives… There will be folks that might disagree, but take a look at the three to see if you would say “I got this…” or would prefer to have the Help of the Creator of Everything with that situation that needs resolution. Don’t Always Believe What You HEAR. Don’t Always Believe What You SEE. Don’t Always Believe What You KNOW. There are more times than I’d care to admit or even contemplate discussing where decisions were made based upon what was heard, seen or thought was known, all to have the situation cause such trouble and chaos – where if I’d just listened to the Holy Spirit prompting me, none of it would have gotten so jumbled up. When a Promise is given you through God’s Word, the Holy Spirit prompting or an answer is given in action, Believe Him. Oh would that each of us would prayerfully and actively adopt this Promise we are Given, the world would be a different place because of Him. Who today needs to see you depending on the Son of God you Trusted for Salvation, so they will learn this process in real time as God the Father pricks their heart and draws them in to Himself, such that they will depend on Him also. There is just about nothing more majestic than the bald eagle. And, am VERY certain there will be folks who just shuddered at the entire first sentence, but it does sum up the thought of this Series as it was being developed. 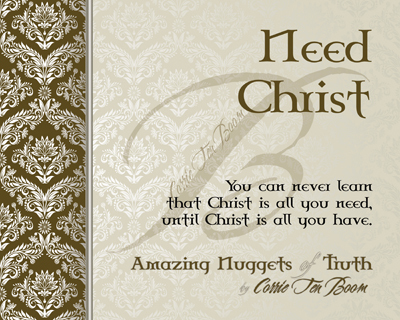 Sometimes, our description of our Lord gets jumbled up and “out of kilter”, as my Dad use to put it. Simply put, “there are very few things as majestic as the bald eagle“. Each of us has to begin at being “Willing” to do what is placed before us, with the knowledge that He will be protecting us and providing us with just what we need. That supply is not just for just that moment, He promises to help us pray, sing, have knowledge, wisdom, hearing, guidance – all those things and SO much more. These Series challenges of what God the Father has done and will do as we get to the need are INCREDIBLE Promises that each and every Christian will Know He makes good, by our careful Watch and diligent time that we Pray. From the very first print beginning with Willing, each of these eighteen (18) Scripture based prints provide a support for the Christian in that while we are Watch(ing) and Pray(ing), we have all the resources of the Infinite God of Creation to do what He has called each of us to do! A new Friend has Encouraged me BEYOND measure today, causing me to put these verses from Series into action. As the Word of God is read, what happens inside of you and I as Christians? Do we merely see them as words to read while we are in a predicament of some form or another, or do we choose to see them as a teaching tool. Each challenge we face in life, no matter big or small, should be examined for a lesson, Encouragement and insight. Just as eagles are magnificent birds given mention in the Word of God, so are we – we are His Children, those who He will cover, protect and teach – even when we are utterly unsure of what it might be that is being taught. Each day we should Watch & Pray, even as our Spirit is Willing and our Flesh Weak, our Mighty God will give us ALL that we need, as we are Faithful to Him with all parts of our lives. These are deeply troubling times that we face, not only on the World scene, but more increasingly upon our own back doorsteps. As we encounter the choices and difficulties that come day to day, our Faith will be challenged by them, but we do NOT have to allow them to change us because of them. Christians have, for a large part, accepted the notion that bad things only happen to bad people, so there must be something terribly wrong in a persons life to have much trouble present. Some of those things can be strategically placed by the Holy Spirit to be a witness and testimony for Christ, who would in no other wise be able to be convicted or challenged by the Holy Spirit. It is my personal opinion that we’ve not gotten to the place where we ought to be… It is a matter of “possession”, really. And ofttimes it hath cast him into the fire, and into the waters, to destroy him: but if thou canst do any thing, have compassion on us, and help us. 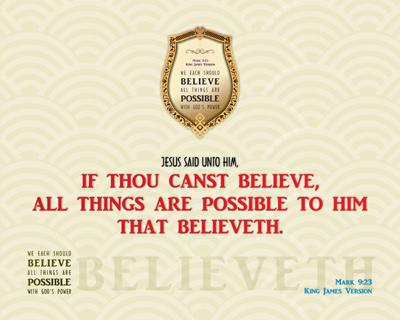 Jesus said unto him, If thou canst believe, all things are possible to him that believeth. And straightway the father of the child cried out, and said with tears, Lord, I believe; help thou mine unbelief. 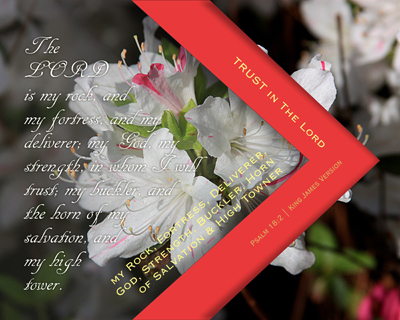 Have we truly, as God’s Children, joint Heirs with Christ, given over EVERY area of our lives? The Father of the child in verse 22-24 of Mark chapter 9, cried out for the Lord to “help thou my unbelief…” The Father of the child wanted to Trust Him and Believe Him, responding in the only manner he knew to do, crying out the Lord. There are a couple phrases that came to mind in preparing this Series, the first being a simple, straightforward statement, but the second one is VERY rough around the edges, causing doubt on the part of the hearer as whether it is of honest return. If we as Christians are truly indwelled by the Holy Spirit and are a “possession” of the King of Kings, do we have to say those words at all? He will know if we Believe, as we can cry out to Him to help our unbelief. Others should be able to see, hear, feel, detect the difference know Jesus as our Saviour makes – no matter the circumstance. We certainly are NOT perfect, for sure I know that of myself evermore… I must continue to place my Faith and Trust in Him, diligently seeking Him in all that is done, said and even thought about. The four distinct areas highlighted in this Series, utilizing twelve (12) passages of Scripture include: Believing, Having & Showing, Realizing and knowing what is Possible. Better than what we say, how we respond to events, occurrences and happenings, our true inner self will show and/or shine through onto those that are closest to us and will affect even those at a distance, who you may think are just looking on without regard to what is transpiring. Sometimes that look can be rather deceiving and disheartening, due to lack of dedication or understanding to that particular matter. As we draw closer to our Lord, the evidence will bear witness of the Holy Spirit to others as well as ourselves – Love’s witness will be abundantly clear, even though they may not be able to exactly pin-point it to full understanding. The Lord is indeed capable of handling everything, for one, He Created it. Let us focus on how we can draw so close to Him that we BELIEVE All Things Are POSSIBLE. This Series was being designed for a special person, a very specific man with terminal cancer – his battle ended this past Thursday, May 28th, 2015. Out of respect for his family and arrangements, this Dear Christian Fellow’s name will remain withheld. I am deeply saddened that he didn’t get to see them himself, even if I’d have rushed them – it would have been too late for him to acknowledge seeing, hearing and benefiting from them. Have you ever been too restrictive when looking for something, anything – which makes perfect logical sense to you, but baffles the “tar” out of another person? Some would say that we have lost the art of Trust when it comes to our Heavenly Father – which I would actually AGREE with that person, but… there is a CLEAR path in the Word of God placed amongst His Revelation to us that will change our lives and the way we think – if we will just open our eyes to what we’ve had in the Holy Book of God the ENTIRE time! The LORD did not give the Christian a long, detailed list to just Trust Him with, for, over… Psalm 18:2 KJV, which is used in the first print, shows us this being lived out by King David. The LORD has been gracious, forgiving and merciful to a Sinner such as I… It seems that the LEAST that I can do is TRUST Him, which is FAR more than just a word, jargon, statement, declaration or dedication – it is a WAY of LIFE. In the twenty-three (23) verses utilized in this Series, many of them state Who God is to them. We have an incredible opportunity to show Him that we Trust Him where others will want the peace, contentment and love which is caused by doing so. While we are Trusting Him, we are witnessing of Him to others. There is an old adage that is remembered from childhood, which states: “You will eventually find whatever you are looking for, if you keep looking for it long enough.” The Hope that a person finds in Trusting the Lord places in us, by means of the Holy Spirit, a looking compass that aligned with God’s Word and His Provision. It is my desire for each person that happens upon this Series to understand We Can Trust Him, He is the LORD.